Who wants their chart done? 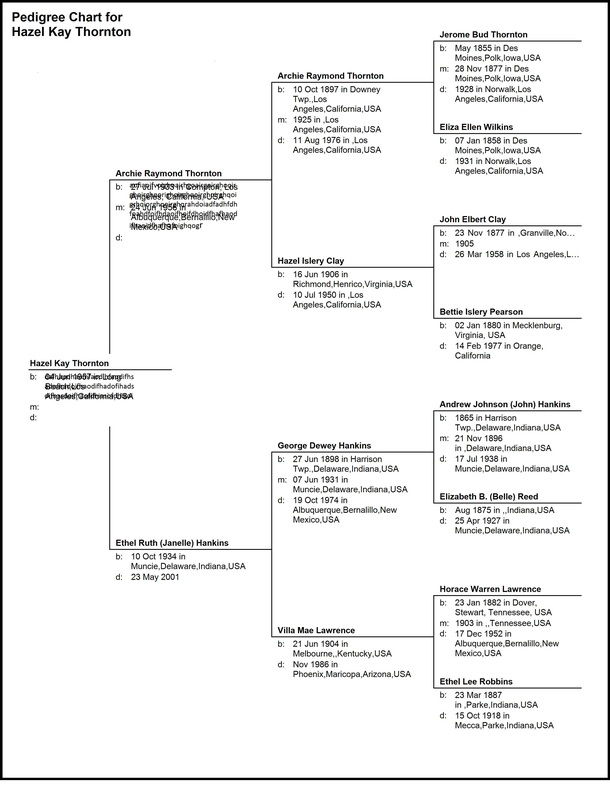 Family tree pedigree chart, that is? If you think pedigrees are just for royalty, dogs, and horses, think again! Genealogy makes history personal for everyone. And a family tree makes a great gift for a loved one…or for yourself! 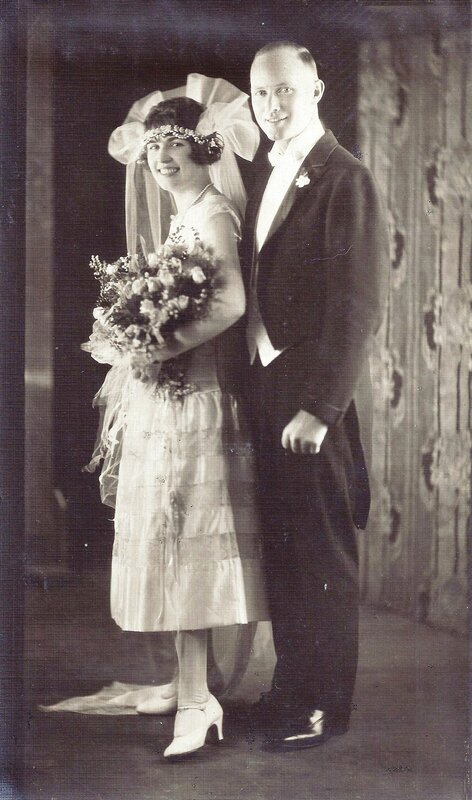 My paternal grandparents Archie Raymond THORNTON & Hazel Islery CLAY on their wedding day in 1925. Aren’t they a handsome couple? Thank you so much for all your hard work, this information you have put together is so fascinating!! I have really enjoyed sharing it with my parents! — K.Z. I’m so glad Hazel did my family tree – you should get her to do yours! — J.B.
Oooh! This is interesting! Thanks for finding my grandparents’ marriage license and helping to solve our family mystery. — J.N. Contact me to discuss your project. Is it for you, a family member, or a friend? Do you have an occasion coming up (birthday, anniversary, holiday, reunion)? What do you already know about your family? What are you curious about? I will email Family Group Sheets for you to fill out as best you can. I do need some information to get me started! Once you return the Family Group Sheets to me I will use internet subscription tools such as Ancestry.com (and many other online resources) to access documents pertaining to your family. To these resources I will add 20+ years of old-school (and modern) genealogy research experience to help me assemble the puzzle pieces and help you tell the story of your family. If you have (or plan to purchase) your own Ancestry.com account and/or family history software for your computer, I will send you the resulting GEDCOM file for your own use. Otherwise, I will email your pedigree chart plus PDF copies of the most important and interesting supporting documents that I find. 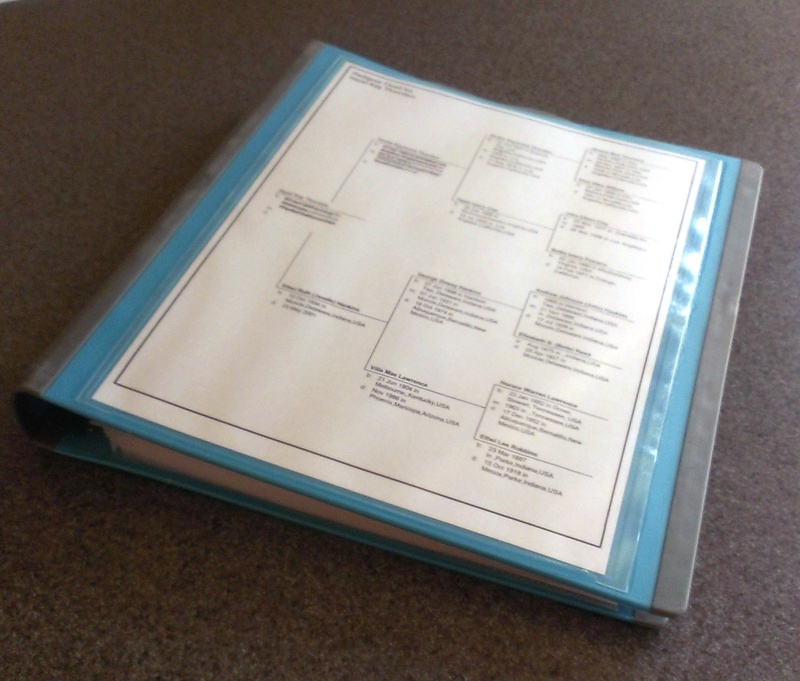 I will include Next Steps, Resources, and Instructions for assembling a Family History Binder to use for yourself or as a gift. (For an additional fee, if you prefer, and if there’s time, I can assemble it for you and deliver or mail it to you.) You can add your own photos and stories and grow the binder contents as you desire. Enjoy and share with your family! Genealogy makes history personal. A family tree makes a great gift for a loved one! The rate for this service is $299 (+ tax in NM). 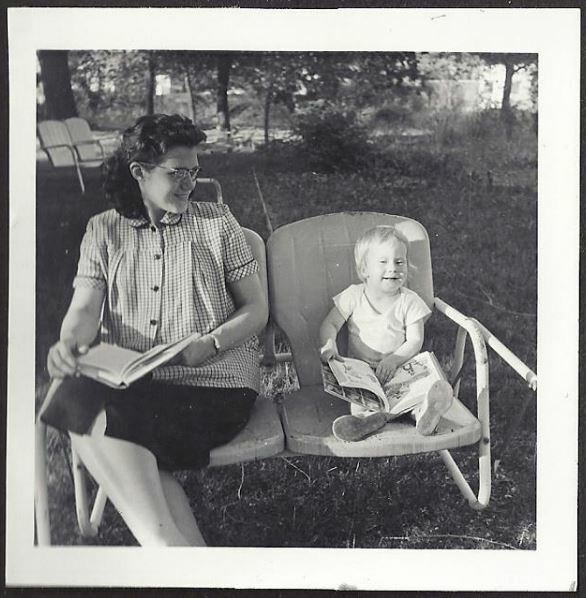 Me and mom reading together. Albuquerque, summer 1959. Gift certificates and coaching are also available. See my Family History Research Services page to learn more. If you are the family genealogist, I can help you organize your research and materials. Read FAQ for more ideas and info. Are you curious about your own family history? 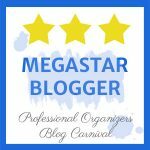 Already an amateur (or professional) genealogist? Left: my maternal grandfather, George D. Hankins (1898-1974), whom I knew. 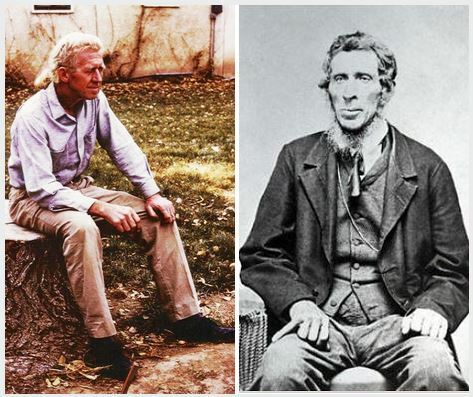 Right: his great-grandfather (my 3rd great-grandfather), Jacob J. Keysling (1789-1855). Note the similarities in face, build, pose, hands (clenched), and hair. I found the older photo on Ancestry.com! Hazel, this is a great new service for your clients. As my family’s historian, I’m always amazed when people don’t know much about their family histories. What a great way to help them understand themselves better! Well, I didn’t know much about mine until I got curious and started learning how to do the research around age 35. I discovered that I come from a long line of Quakers. Between the last of the Quakers (disowned for marrying outside the faith and such) and my Dad’s generation was only one generation during which there was apparently no mention of Quakers at all! You have definitely piqued my interest! Can’t wait to see what you discover and to share it with my siblings. I am learning that there are differences between Canadian research and US research! My family and I are getting a lot of enjoyment from the research you did for me. I’ve even managed to use the information you supplied to make some discoveries of my own! Yay, glad to hear it, Janet! It’s fun, huh? Definitely takes patience and tenacity to do these. My husband’s uncle went through this process and it was very fun to see where the story took us:) I think your price is very fair! It’s just an introductory price. And a learning curve when it comes to determining the boundaries of the project. And each one’s different! Great service Hazel! Good luck wih it. I am responsible for my family and my husband’s family but do it on the side when I feel up to it or there is a new life changing event. I will keep you in mind if I have any clients interested. Thanks for sharing. How great that you’re branching out in your services! 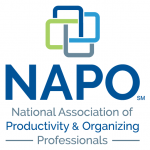 And this pairs so nicely with your recent APPO certification. Keep us posted how it goes! What a lovely idea for a gift! My Nana is brilliant at this sort of thing. This is such a UNIQUE service offering Hazel. I’ll be sure to share with my tribe!